The Philadelphia based four piece Nothing's newest release Tired of Tomorrow comes after lots of trials and tribulations among the band members but as that old tired cliche goes...doesn't kill...stronger. The disk is loaded with worry, uncertainty, and lots of layers of spacious rock that asks some questions only to leave unsatisfied answers. The band, guitarist and singer Domenic Palermo, guitarist and singer Brandon Setta, drummer Kyle Kimball and bassist Nick Bassett move between genres like dream pop, shoegaze, alt rock and metal but are somewhere in-between them all. Think of a much more laid back version of Cymbals Eat Guitars or a completely neutered Deafheaven and you have a decent starting point. Both of those groups chop up genres winningly and aggressively while for Tired of Tomorrow finds Nothing dabbling instead of truly owning the sound. Opener "Fever Queen" sets the tone with layers of sonic sound over a short to the point effort. Guitars wash over everything making lyrics a bit tough first go round, but the band moves with ease, if not a whole lot of urgency. Where things get the most hectic is on the heavy "Curse Of The Sun" which feels like a horse ready to gallop even faster and "Our Plague" which builds to a big noise rock instrumental ending. The band mostly spends Tired Of Tomorrow in that middle ground with tracks like "Eaten By Worms" starting sparse and getting larger, "ACD (Abcessive Compulsive Disorder)" resembles The Cure at it spaciest and "Vertigo Flowers" amps the drums, slightly increasing the energy over soundscapes of six strings. "The Dead Are Dumb" is the most successful of these 'dreamgaze' tracks; easy rolling spacey lines, around a smooth well sung chorus of "Isn't it quite the same/Isn't it such a shame?" that becomes hypnotic in its grace. "Nineteen Ninety Heaven" is a fun experiment as well that takes a big beat and pairs it with sparse guitars. The band has been through a lot and the album feels weighted with questioning hopeless lyrics, but also a sense of future redemption in the upbeat, almost poppy tracks. 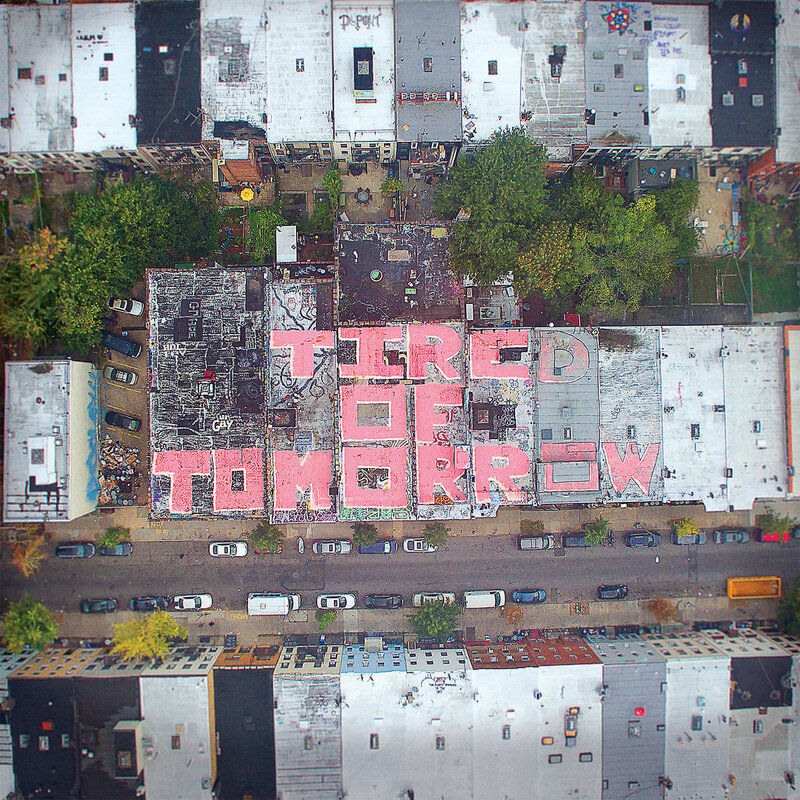 While not earth shattering, and a bit one note, Tired Of Tomorrow is still a fun float along disk to drift with.